COLDPLAY, you make my heart beats like clocks, you make me live in technicolor, you like a yellow scientist for me, and take me to the violet hill. I HEART YOU. I watched MTV World Stage playing Coldplay's concert in Japan. Uh uh oh oeh eh It was awesome! Tottaly great. Guess what, I acted like I were there. I jumped. screaming like hell, waving my hand, dancing. and when Chris move his head to my side, I jumped higher and calling his name. What a freak. My sister keep shouting, "Hey please relax!! Our mom will know that I'm still awake," .. It was 11.00 PM, in my room. and she keep staring at me. 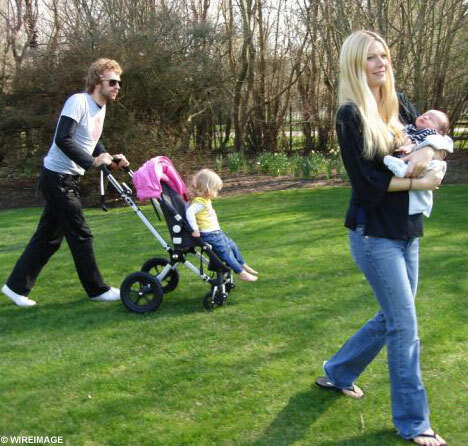 Chris Martin and Gwyneth Paltrow is a lucky couple! Coldplay ........ please come to Indo ! I sent a request in eventful.com.
" Success! We sent a demand confirmation to boo9ie@yahoo.com . You and 182 others have demanded that Coldplay come to Dki Jakarta, Indonesia. "